When you find yourself no longer part of a couple, you can find that you want to meet new people that weren’t part of your previous life. You might not have considered networking but maybe you should. A crowded bar. Half-finished drinks scattered across tables. Men in suits with smug looks on their faces and far too few women occupy the space. It’s hard to get a word in edge-ways because the conversational topic is completely alien and no one wants to introduce you. At least, that’s what a run-of-the-mill networking event looks like, and is what pops into the heads of most people when they are invited to one. Sure, that’s one way to network. But is it the best way? No. No it isn’t. “It’s not what you know, it’s who you know.” And by following these networking tips, your own personal network will grow, and with that will come more business. No smug looks or alien conversational topics necessary. It may be daunting, but get yourself out of your comfort zone. When you’re with friends or colleagues, it’s easy to spend your time talking to them and not making the connections you’re there to acquire. Get mingling! The great thing about networking is that most people have been where you are now, so they should be friendly and helpful if you’re feeling a little shy. Networking is about building relationships out of trust, not sales. It’s a common misconception that networking is business, business, business, but your contacts will be more useful in the long run if they know you, trust you, and can recommend you to their friends. Sales talk gives the impression that you are only there to benefit from the other attendees. Talking about other things, however, lets everyone know that you’re there for the right reasons – to build a network; not exploit one. If conversation does revert to business, ask questions and find out about them, their company and what their goals are. If you can recommend someone to help them out – even better! In doing this, not only are you using your own network to your advantage, but showing that you’re not there simply to generate leads. Adopting this behaviour will also help your contacts recommend you and your services, in the same way you’ve recommended others. After all, 5 referrals are better than one done deal. People don’t buy into products and companies as much as they buy into other people. Don’t let impostor syndrome get the better of you and cause you to put on an act. You’ll be meeting these people over and over again so it’s best to be genuine, plus you will end up making true friends. Freshwalks is a day out of the office exploring the glorious countryside Greater Manchester and Cheshire have to offer. Turn off your phone (although there’s no real need to as you’ll have no signal), chat with whoever you’re stood next to who has kept up the same pace, and enjoy a well-deserved pint or two at the end. You’ll occasionally ask what someone does for a living, but more often than not you’ll be discussing the ground underfoot or finding out more about the dogs that have come along for the day out. Get Quizzical is a networking pub quiz hosted across multiple venues in Manchester city centre. 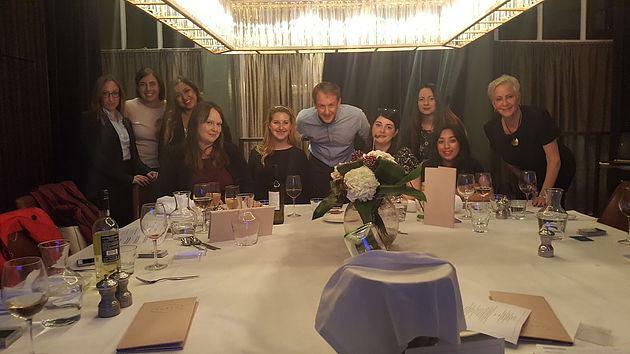 Their film-themed quiz in Summer 2017 at Slater&Gordan had over 50 participants and had teams bonding by awarding points for acting out famous movie scenes – complete with props. 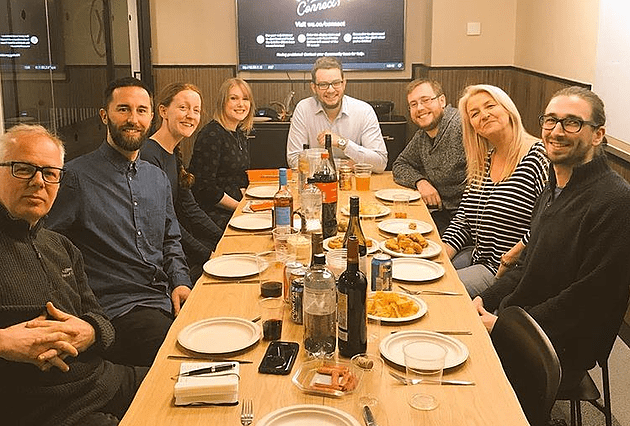 9others operates all over the UK, with its premise being that 10 entrepreneurs sharing a good meal and discussing problems will lead to solutions and broaden connections. It is a lot more intimate but not as formal as you would expect, and a good reminder that you are not the only one facing challenges.